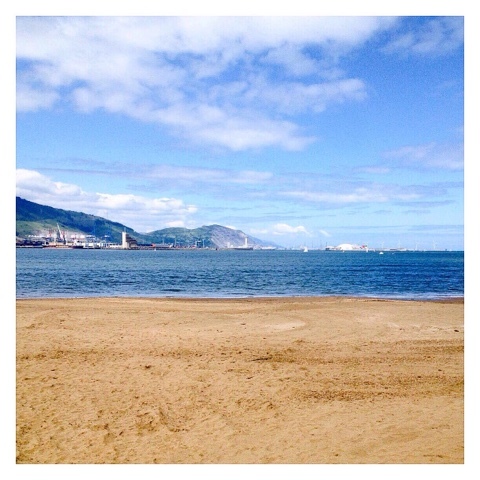 It’s funny how we really don’t realise what we have until we lose it… I grew up 10 minutes away from the beach (5 by car) and was never really a sea person. It’s now one of my main priorities – every time I go back a walk on the beach is a must, regardless of how warm or cold it is. I may not be talking Maldives but that rather perfect view and amazing breeze is all I need to feel complete. 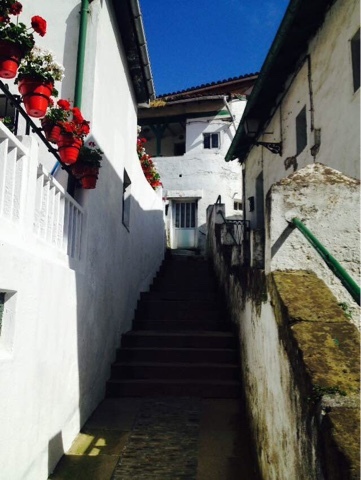 For those of you who have visited the south of Spain this is probably a very familiar sight. These lovely little white houses however are not in Sevilla but in my municipality’s (the Spanish equivalent of a borough) old port. Trust me, it is such a beautiful little neighbourhood. 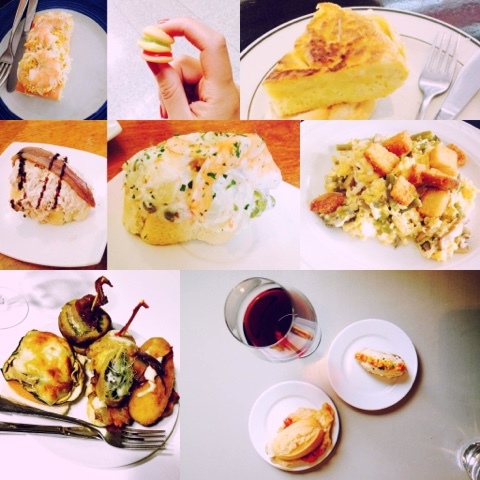 The three things I miss the most from my hometown are my mother, my friends and the pintxos. 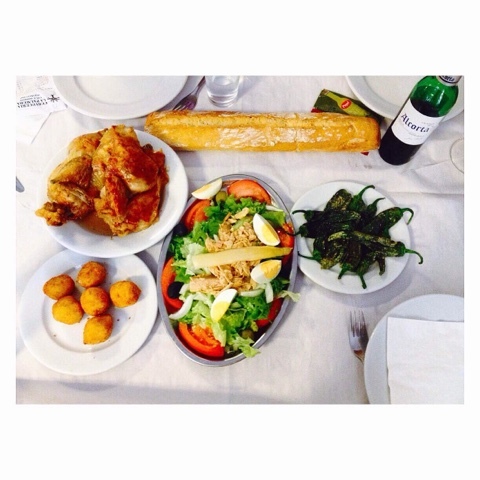 Pintxos (the basque word for tapas) are the best thing about Bilbao – yes, that’s right, you won’t find an ounce of doubt in that statement. I cannot help but stuff my face every time I go home, they are the most delicious things you will ever try. As you can see, I’ve got a “don’t mess with my pintxos” attitude – I will never find an equivalent in England but I do recommend Pix Pintxos. Although three times as expensive as what you’ll get in Bilbao (pintxos are less than 2€), they are pretty damn divine. Note: I threw in a little jelly burger just for the sake of it – sweeties in Spain are also the bees’ knees. 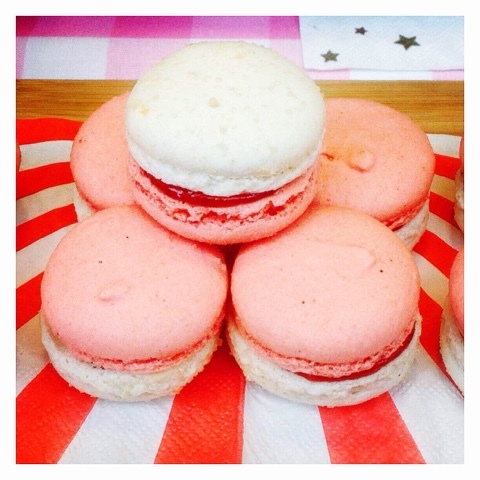 As far as I know macaroons aren’t as big in Spain as they are over here or pretty much all over the world, but I spotted these little beauties in Bilbao’s most famous bakery’s window, Martina Zuricalday. The red and white hues were not by chance – Bilbao’s football team Athletic de Bilbao was about to play a big game at the time and the city was immersed in football fever. I have no interest in football but my city’s historical obsession with football is so enormous that the brainwash is far too deep for me to detach myself from that team. I don’t like football, but my team is and always will be Athletic de Bilbao. This hanging bridge has become one of Bilbao’s loveliest landmarks – and I never thought anything of it! It is only now that I’m older and barely wiser that I can fully admire it in all its glory. Built all the way back in the 19th century, this one-of-a-kind method of transport is a big part of my childhood – I remember going on it with my mother long before there were oyster-like barriers and when there were actual men who would punch a hole through your paper ticket. Sure, things have been jazzed up ever since, but its essence remains the same. 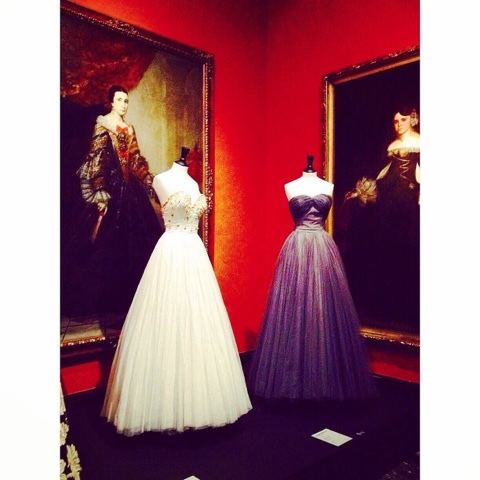 I got an amazing dose of art and fashion too – Bilbao’s Fine Art Museum held a beautiful exhibition on early 20th century French couture fashion. Balenciaga, Dior, Schiaparelli… there were too many amazing pieces. 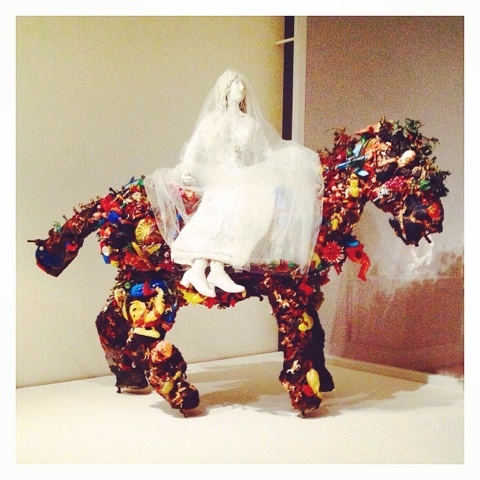 The presentation was highly original too – all the clothes were placed amongst the museum’s permanent collection. 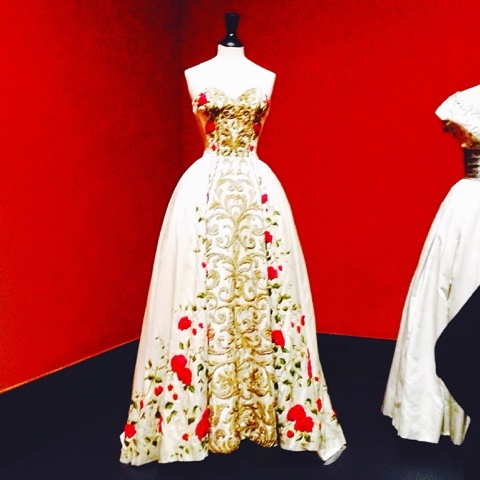 Imagine the National Gallery being full of couture dresses… breathtaking, right? 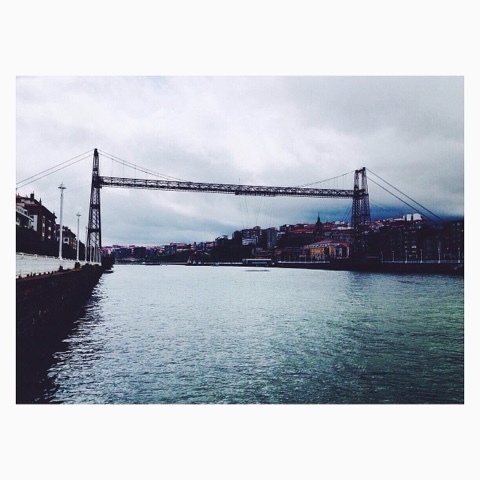 Nowadays, what is Bilbao without the Guggenheim Museum? Contemporary art is not my cup of tea – but let’s face it, sometimes it’s great if you want some dramatic effect in your pictures. 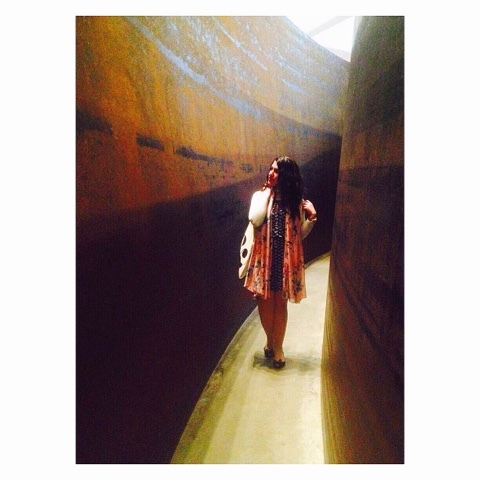 This maze-like piece is part of a set of eight sculptures by Richard Serra called The Matter Of Time. 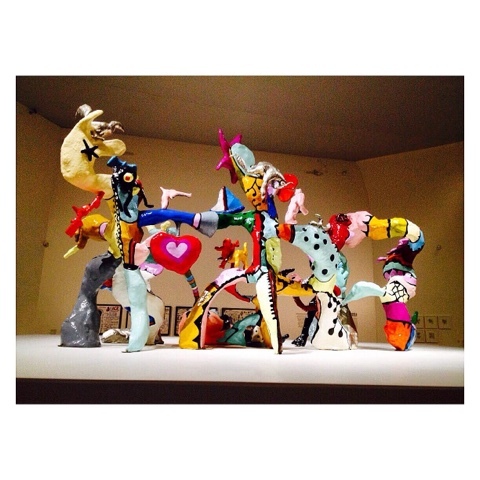 All these amazing pieces are by the French artist Niki De Saint Phalle. The Guggenheim was holding a retrospective on her and I have to admit I had not heard of her before. Shame on me – what an artist! Her work was incredible – colourful, vital and damn right beautiful sculptures that decorate many parts of the world. That skull! 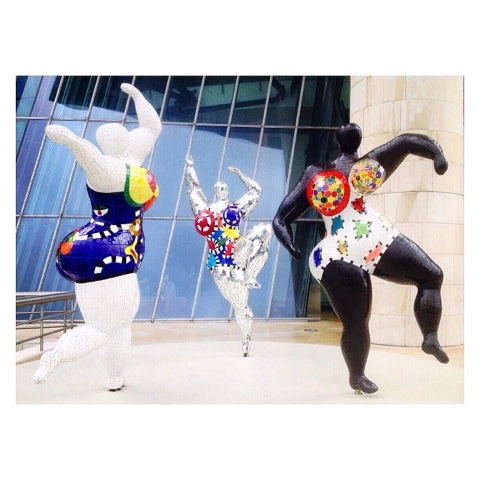 Those ‘Nanas’ – the big curvy and happy ladies that were dancing for Bilbao. But a lot of her work, especially in the early days of her career, was dark, poignant and moving too, like that oneiric bride on a horse and those mysterious and abstract sculptures called “Diana’s Dream.” Whether it was to tell a sad story or to make people happy, her art truly served a purpose. 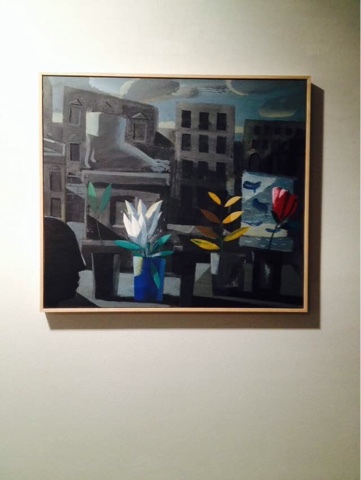 On a smaller scale, my mother and I went to a Bilbao gallery called Juan Manuel Lumbreras. 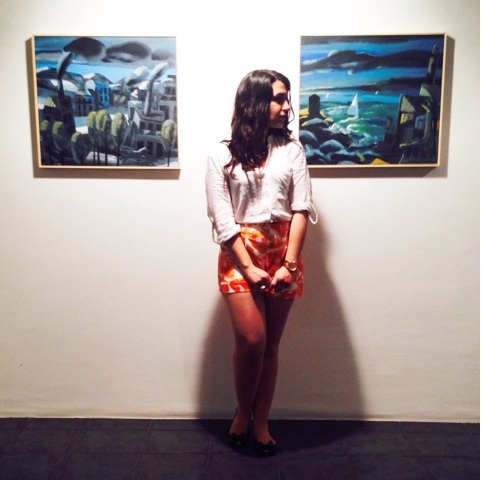 They represent and showcase contemporary Spanish artists and currently have an exhibition on painter Jorge Gay, a dream-like, poetic and modern-day Cubist. If there was one thing I missed terribly about London it was the street art! More than imagery, there is a lot of graffiti and tagging in Bilbao but they’re in tricky spots that are hard to reach. 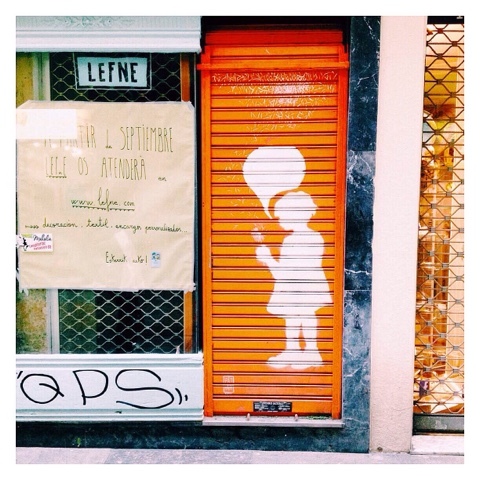 I spotted these two lovely pieces in Bilbao’s iconic Casco Viejo (the first one I think is by Sebas Derok and the second one is by Pat Han, but I couldn’t find any information on them online) – but Bilbao deserves and needs so much more street art! I’m finishing this post with a permanent artwork of artist Jeff Koons at the Guggenheim, Tulips. I swear about 8 years ago people were allowed to actually touch and lean against the tulips! In any case they are as beautiful as always. 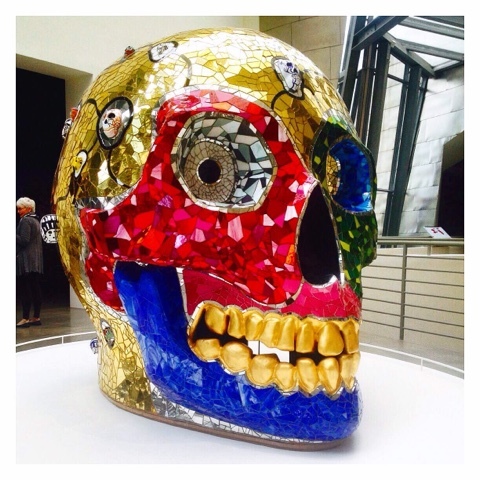 Niki De Saint Phalle’s exhibition has been replaced by a Jeff Koons retrospective and I am desperate to see it! Modern art is crap but giant balloon dogs and tulips? Now that is my kind of tea. 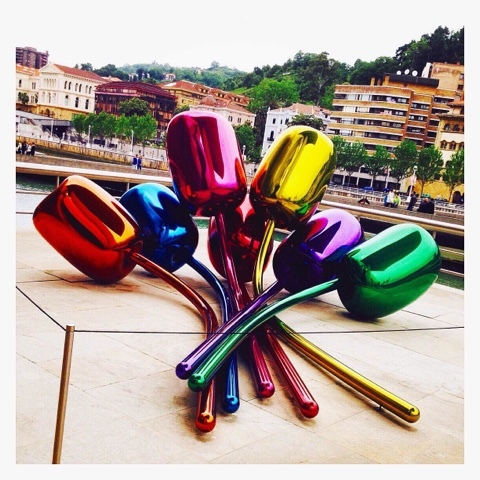 I plan to go back within the next few months to see my mum and Jeff Koons so hopefully I will discover a few more things about Bilbao that I can share with you all! As you might have guessed from this post, a big chunk of my heart is still there!